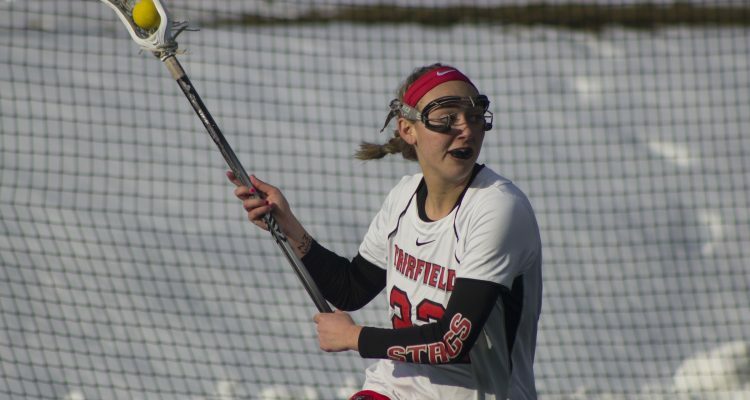 The home opener for the Fairfield University women’s lacrosse team did not go as planned on Wednesday, Feb. 15 at Rafferty Stadium. 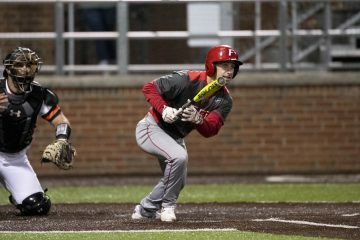 The Stags were defeated by the University of Connecticut Huskies 16-12 in an exciting back-and-forth game that featured seven different lead changes. 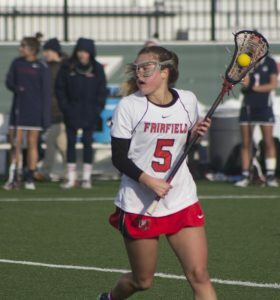 A pair of hat tricks from Alex Fehmel ‘17 and Riley Hellstein ‘17 helped to lead Fairfield’s offensive attack. Sophomores Lily Crager and Taylor Mitchell each had two goals, while Brenna Connolly ‘18 and Riley Smith ‘17 got on the board with a goal a piece. In goal, Caleigh O’Connor ‘17 had eight saves against a tough UConn attack. The first half of the game was evenly matched as both teams were just about tied in shots on goal, ground balls and draw controls. A pivotal play that occurred in the first half came with four seconds left on the clock, as Connecticut’s Jacqueline Jordan ‘17 had a great scoring look in a free position attempt but was denied by O’Connor to keep the score even at 7-7, going into the locker room at the midway point of the game. Fairfield held a 9-7 advantage with 24:59 left in the game after a Hellstein goal, but would begin to struggle against a tough Huskies team. Play was noticeably rougher in the second half as the Stags tried to race against the clock and make a comeback. Turnovers plagued both teams in the game as Fairfield ended with 25 while UConn boasted 22. 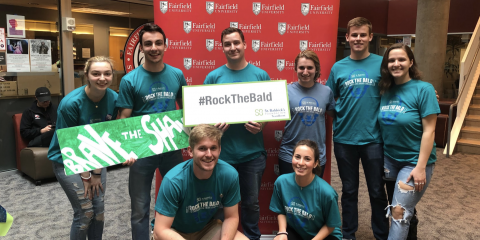 Fairfield head coach Laura Field did note that there are multiple things that her players need to improve on, but overall she was pleased with her players’ effort. “I think we played composed in the first half. I think we both played a sloppy game. Turnovers are an early season thing. 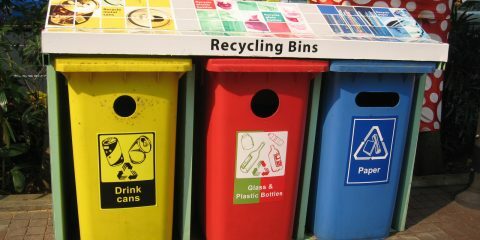 We need to take care of that because it’s what really hurt us in the second half,” Field said. The season is still young for the women’s lacrosse team, having only played two games thus far. Coach Field reiterated that she is confident the team will get back on the right track, especially with Hellstein and Fehmel leading the charge. 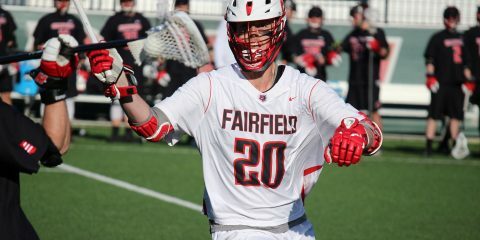 Fairfield’s next matchup will be on Wednesday, Feb. 22 against Columbia University in New York. 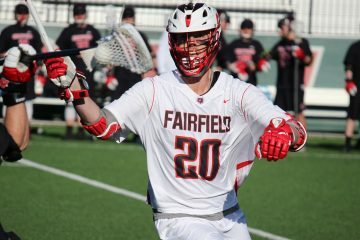 Following the Columbia matchup, the Stags will host a Saturday afternoon matchup with Hofstra on Feb. 25 at Rafferty Stadium as part of a double-header starting with the men’s game against Rutgers.